Post frame sheds, garages, and lean tos have been the proven method for simple construction in that they don’t utilize foundations; instead they use trusses and headers to make the structure durable. Design principles can be incorporated into the construction with your ideas in mind. Having a custom built exterior structure can be exactly what you need as an extension of the interior. Custom decks & porches can replace the grass that you’ve been entertaining on and provide you with something that can hold a number of people and delivers an area where no ants will ruin your fun. Call Omni Builders for more details on how to get yours built using our construction methods. Since 1992, Omni Builders has been delivering quality exterior construction. 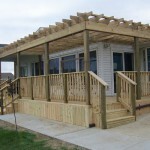 We have the ability to build pergolas and more. When you need an outdoor area that can spruce up your backyard and enhance the value of the home, call us. We’ll be sure to design and create whatever it is that you’ve been looking for. Post frame construction can get a structure built faster and for less money as it only uses trusses and headers to keep it erect. 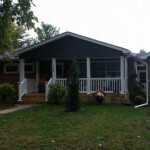 You’ll find that you save money and time when looking into this type of exterior construction. We have over two decades worth of experience and can deliver that to your new pole buildings. 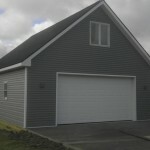 If you are looking for quality pole buildings, then please call 517-486-3784 or complete our online request form.